This is more than a powerful seduction handbook that gives you more power and control over a woman's feeling and emotions through body language and other secret techniques. It gives you a bunch of psychological tricks, mind games, and subconscious techniques to have the woman you desire literally eating out of your hands. Online dating is becoming more common with every passing day. A failure to effectively use online dating properly will be a significant handicap. In this program you will learn everything you need to know to become highly successful at online dating. We will cover everything from how to write an effective profile, ideal first messages, compelling conversation blueprints, optimal picture strategy, how to setup and land the first date, and much more. A lot of good advice, but a bit repetitive. This audiobook explores how to build an attractive personality through personal development. It offers a new perspective that puts individual growth as the key to enjoying a full social life and being successful with women. It also helps open the door to unknown depths of ourselves. It is an invitation to discover our own assets and be honest with ourselves in order to meet and relate with women. This work describes in detail introspective mechanisms that will allow us to explore and look into our own attractiveness in a new light. 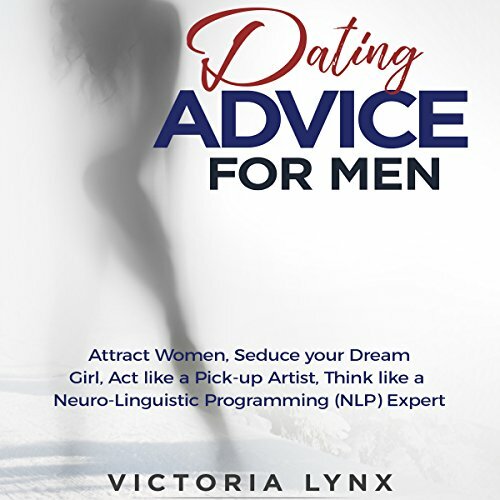 If you're dating or in a relationship and women constantly create drama, lose interest in you, or manipulate you, it's time you finally got some advice from one of the only relationship audiobooks for men that won't turn you into a doormat. 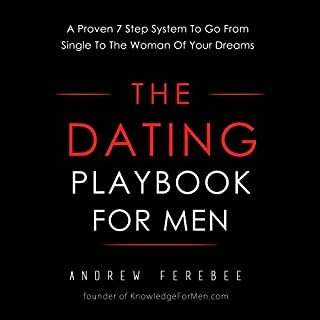 I promise you this, if you read this book and apply it's principles, you will have so much more success with women. Imagine, all of the cash you are leaving on the table by not understanding how to get what you want! Imagine, all of those dates, with so many hot girls that you didn't go on simply because you couldn't text right! Seriously, texting incorrectly can crush your chances with women permanently. I can't tell you how many women have vented to me their frustrations at what you are doing. How much do you understand women? As a lady myself, I perfectly understand that it is so very difficult to have the capacity to peruse the female psyche and recognize what we look for and desire in men. Females are quite clever in the ways they test the male waters and become more acquainted with new individuals. 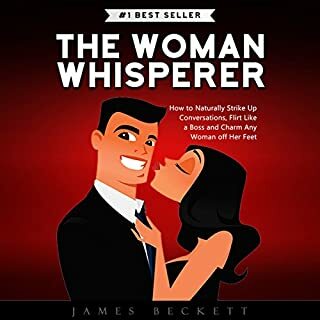 Men, if you have had issues in the past associating with ladies or have quite recently had plain misfortune with regards to dating, this audiobook is the perfect avenue for you! I recognize what you are thinking: "All ladies are so difficult to peruse and become more acquainted with." Well, amigo, I am here to disclose to you that we are most certainly not. Men simply don't know how to convey themselves in ways that pull in ladies to them! 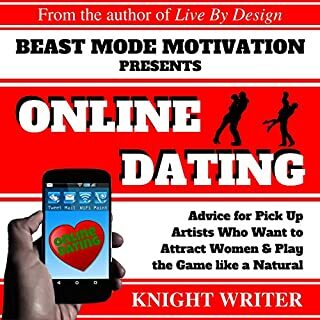 So, whether you are youthful and brand new to the dating scene or you have been there in a sort of limbo for a short time without very much luck, the pieces of advice inside this audiobook are for you! There is a considerable measure of learning to be procured with regards to dating and becoming acquainted with ladies, so you ought to be keen on becoming more acquainted with ladies through the immense advice found inside various sections of this audiobook. As you travel through every one of the sections, I trust you discover some counsel that you have been looking for from the beginning and that "Google Search" results have been withholding from you. Good fortunes, honorable man! I have confidence you will improve your dating life in the wake of perusing the substance of this audiobook! Scroll up and click the "Buy Now" button to begin your journey! Visit my author page to find all my works. I was looking for dating advice. That is not what this book is about. This author obviously has had a lot of horrible relationships. This book should be titled 'How I would "fix" all my ex boyfriends'. Finally a few useful nuggets in ch2. But then ch3 onwards reads like "Chinglish" assembly instructions. Gets slightly better after that ch5 on reads more like a list of complaints of bad boyfriends AFTER y'all are together! Sadly self contradictory as often will say "be yourself" and then tell you BE this particular kind of guy. If that's not you then ... Well. In spite of those critiques, Those are valuable and its worth hearing a woman's perspective but its SO badly executed and (mercifully) short on real new content that it should be sold for a quarter credit. "When you back off your developments , they pass on straightforwdness since they are more computed and have a reason." What? this book needs a translator who actually speaks English! more content in a children's book. broad, nothing in depth. not worth my time at all really. the title of this book is super misleading. should be: Introduction to dating ideas or something plain. It was great to hear from a woman's perspective of how they would like to be treated and approached. This is obviously just the tip of the ice burger and there is much one should fallow up with on these subjects but Victoria leaves a great bread crumbs by name dropping good authors in this book. This is the worst audible book I have ever listened to on this subject. This is the first time I have ever written a review on a book. but this is so bad, I had to warn people. save your money.